The coal-fired Ghent Generating Station in Ghent, Ky., June 2, 2014. As the Trump administration considers withdrawing from the Paris climate accord, Boston Mayor Martin J. Walsh said Wednesday that plans to hold an international climate summit in Boston this summer, an event announced to fanfare last year in Beijing, have been scrapped for lack of federal support. Trump, who campaigned against the Paris agreement and has called climate change a hoax, said on Twitter Wednesday night that he would announce his decision about whether to remain in the pact at 3 p.m. Thursday at the White House. The State Department-sponsored summit in Boston, revealed last June by then-secretary of state John F. Kerry, would have brought thousands of urban and business leaders to Boston from cities across the United States and China. It would have been the third such conference. Environmental advocates and scientists had hoped the summit would provide a stage for Boston to showcase its efforts to curb carbon emissions and defend its coastal areas from rising seas, as well as learn about climate change initiatives from China and from other cities. President Trump tweeted Wednesday night that he would reveal his decision on whether the US would stay in the Paris climate accord at 3 p.m. Thursday. “The cancellation of the international climate summit in Boston is another indication of how the Trump administration is pulling out of global engagement in a way that ultimately cedes economic opportunities to other countries,” said David Cash, the former commissioner of the state’s Department of Environmental Protection who now serves as dean of the McCormack Graduate School of Policy and Global Studies at the University of Massachusetts Boston. State Department officials did not respond to requests for comment. The mayor’s disclosure came as he and other political leaders urged Trump to remain in the 2015 Paris accord, in which nearly 200 countries pledged specific policies to reduce carbon emissions linked to global warming. It also came as the Brayton Point Power Station in Somerset, Massachusetts’ last operating coal-fired power plant, ended operations, a symbol of New England’s transition to cleaner forms of energy. 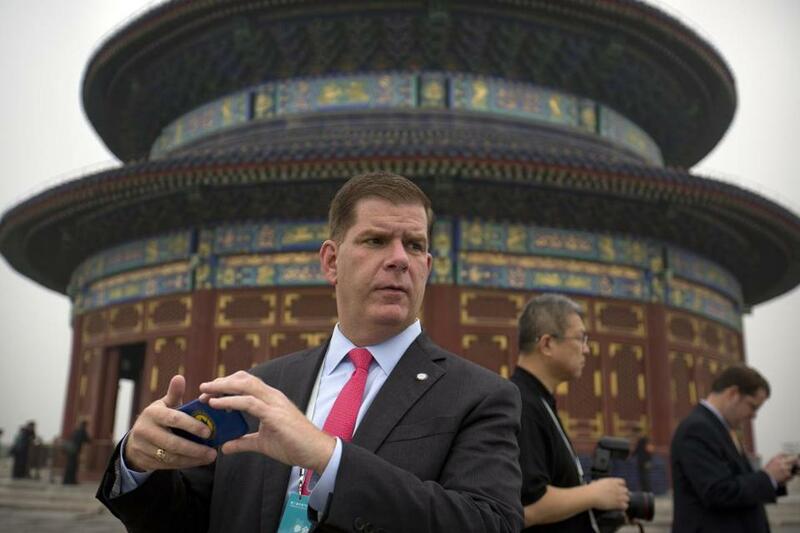 Boston Mayor Marty Walsh was in Beijing, China, on June 8, 2016. Some Republicans have argued the agreement isn’t fair to the United States and have warned the president that it could be used as a weapon by environmental groups seeking to fight Trump’s policies. The Trump administration has rolled back environmental regulations in an effort to help the fossil fuel industries. But supporters note that the United States is the world’s second-largest emitter of greenhouse gases, after China, and its withdrawal could cause significant harm to efforts to curb emissions worldwide. The accord seeks to prevent the planet from warming more than 3.6 degrees Fahrenheit above average temperatures before the Industrial Revolution in the 1800s. 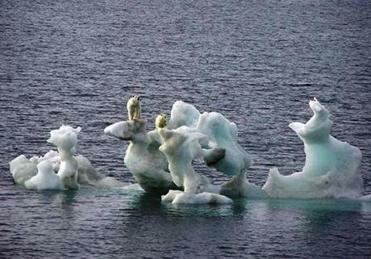 Average global temperatures have already increased about 1.8 degrees Fahrenheit since that time. Scientists have warned of dire consequences if temperatures rise beyond the limits agreed to in Paris, including more powerful storms, major coastal flooding, prolonged heat waves, and increased droughts. “It’s important for the United States, because of the size of our economy and because of the role we play in both energy generation and consumption, that we be a global player when it comes to coming up with smarter and better ways, and more climate-friendly ways, of addressing our energy and our electricity needs,” he told reporters after an event at the University of Massachusetts Lowell. Baker, a Republican, signed a letter last month urging Trump to remain in the accord. Massachusetts Attorney General Maura Healey urged residents to contact the White House and Republican leaders to say it would be a mistake for the United States to withdraw from the agreement. The country would join Nicaragua and Syria as the only two nations that have not joined the agreement, she said. Massachusetts Senator Edward J. Markey said the Paris agreement committed nearly every country to the task of reducing emissions. At his news conference, Walsh vowed that Boston would join other cities in the fight against climate change. 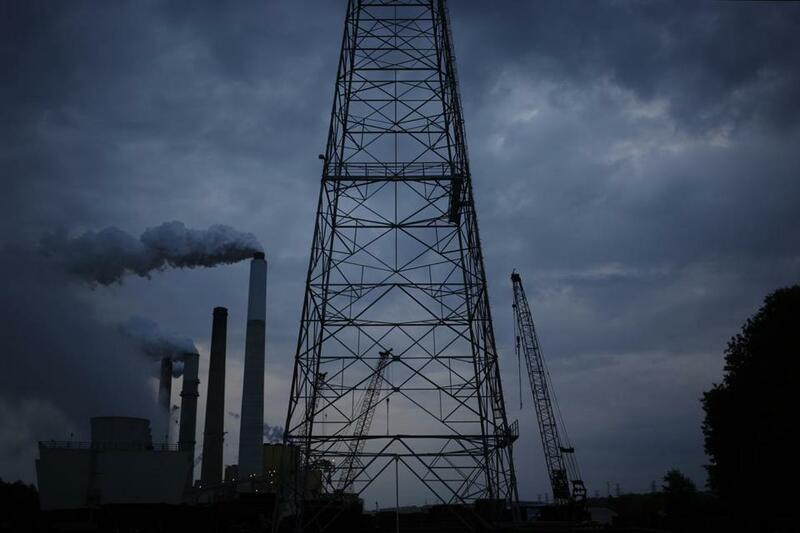 Through the Regional Greenhouse Gas Initiative, a program that took effect across the Northeast in 2008, emissions from regional power plants have fallen nearly 40 percent. In Massachusetts, state law requires officials to cut emissions 25 percent below 1990 levels by 2020 — and 80 percent below those levels by 2050. As part of that effort, Walsh said, city officials are considering hosting an independent summit and have discussed the possibility with Kerry. “It’s still in the idea phase at this point,” he said. Austin Blackmon, the city’s environmental chief, said Boston will continue to urge the Trump administration to support the original summit plans. “We’re not giving up our number one goal of fostering the relationships to keep pushing climate action further,” he said. “The administration is sending a strong signal to the international community and to US citizens and businesses that it is not interested in curbing climate risk,” he said. He added that the nation was also ceding to China and others a massive clean energy market that has already produced new jobs and wealth. “Doing this will be as damaging to our economy as to the environment we leave to our children,” he said. Milton J. Valencia, Joshua Miller, and Deirdre Fernandes of the Globe staff contributed to this report. David Abel can be reached at dabel@globe.com.